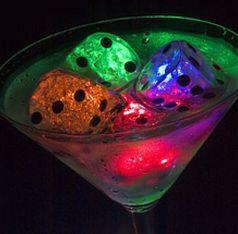 Now Light up your drinks and keep them chilled with these awesome Lite-up Dice Cubes. This is one really interesting stuff; your guests will love this unique idea. These dice are filled with a non toxic glow gel and outer surface is covered with washable acrylic. Having proper dice marks these dice can be charged to illuminate your drink and can be freezed to keep the drink chilling. You can choose the light settings between steady or flash and a hidden switch allows you to switch it off completely. Lite-up Dice Cubes light up your party in style at a very nominal price as a set of four dice is available for just $18.99. People bristles for arty toothbrush!